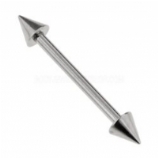 A helix piercing is a piercing located along the top of the ear cartiledge, pretty much anywhere along - commonly referred to as a 'top of the ear' or 'top ear' piercing. 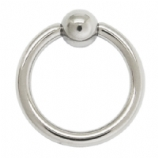 Helix piercings are most commonly pierced at 1.2mm gauge. 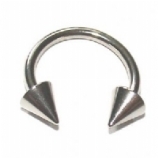 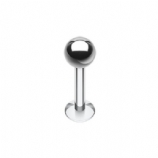 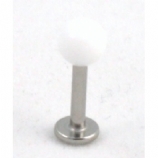 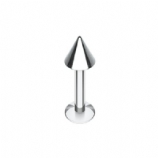 The rings, barbells and labret studs in this section are all 1.2mm gauge and come in various lengths - 6mm or 8mm length is usually sufficient for most helix piercings but of course ears vary so the bars are offered in lengths ranging from 4mm to 11mm. 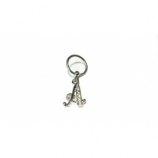 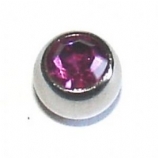 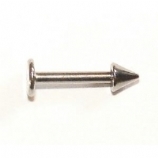 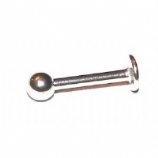 Most of the jewellery in this section is also suitable for other ear piercings such as tragus, conch and lobe. 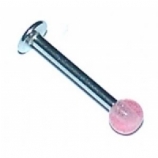 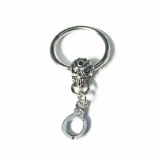 For more helix jewellery ideas, check out our 1.2mm lip jewellery and tragus jewellery selections, as well as the Basic Body Jewellery category for other pieces of jewellery suitable for your helix and other ear piercings. 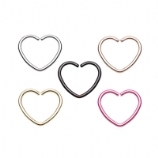 Seamless Heart Shaped Piercing Ring - 1.2mm - Suitable for Pierced & Unpierced Ears!